1.) I love cooking by the season with locally grown food. Cooking with the seasons is one of my favorite ways to stay in the present moment, and locally grown food always tastes better. 2.) I love all food and cooking recipes from around the world. One of the ways to learn more about a group of people's culture, geography, and history is through their food. 3.) Cooking is one of my favorite ways to de-stress. 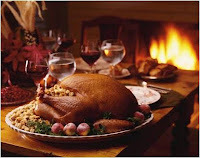 I find it meditating chopping fresh produce, watching the food simmer on the store, and stirring the medley of flavors. 4.) Cooking allows me to be creative: by using leftover ingredients and experimenting with flavor. 5.) I love creating food because it brings people together: family, friends, co-workers, book-clubs, meet up groups, religious groups and ceremonies. One of the most essential components of community development, in my opinion, is food. 6.) I find immense satisfaction cooking and sharing my food with others. I love the sounds that great food creates: that "heaven in your mouth" expression of which each person has their own version. With all this love for food and cooking, I thought I would open a new avenue by sharing with the Hofstra Community some of my favorite recipes and cooking experiences. Weeks before, I purchased an edible pumpkin, a Long Island Cheese Pumpkin, from a farmer's stand in Suffolk County. Known by its lighter color and similarities of looking like a cheese rind, the Long Island Cheese Pumpkin, as its name suggests, is a native to Long Island. I bought this pumpkin with the intention of cooking Camarão na Moranga or "Pumpkin stuffed with shrimp"
I was introduced to Camarão na Moranga while my life-partner and I were visiting a friend on Santa Catarina Island, Brazil in 2009. We were impressed by this uniquely cooked dish, its presentation, and the intense flavor. In 2010, while living in Colorado, another friend from Brazil introduced to me how to make this dish. At that time, we used a Jarrahdale pumpkin variety. I was now excited to try this Long Island Cheese Pumpkin with this dish. 1. Cut a hole in the top of the pumpkin. Set aside top, and remove all the seeds*. Place the top back on the pumpkin and wrap the pumpkin with aluminum foil; place in a baking dish and put it in the oven to cook for 45 minutes. 2. While the pumpkin is cooking: Heat a saucepan, add oil and onions and saute until transparent. Add the garlic and cook until fragrant. Add the paprika and mix until the onions are coated. Add the splash of white cooking wine and cook until dissolved. Add the chopped tomatoes. Cook until the sauce thickens. Then, add the shrimp, and cook until they turn pink. Mix in the requeijao cremoso. 3. After the pumpkin cooked for 45 minutes, remove the pumpkin from the oven and remove the top (be careful of the steam). Add the shrimp mixture inside the pumpkin. Replace the top. Put the pumpkin back into the oven. Bake for another 20-45 minutes until the pumpkin flesh is soft. For serving: Take off the pumpkin top. As you are serving, be sure to scoop into the pumpkin flesh. Serve with rice and season as needed with cilantro, salt and pepper. Wash the pumpkin seeds, coat lightly with oil and your favorite seasonings (like cinnamon and sugar; or chili powder and cayenne pepper, or ginger). Scatter the seeds on a baking sheet and cook until soft in a 350 degree preheated oven. 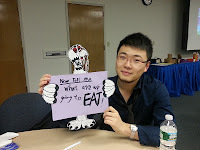 What a "tasty" end to a month of diverse, educational and interesting programs. 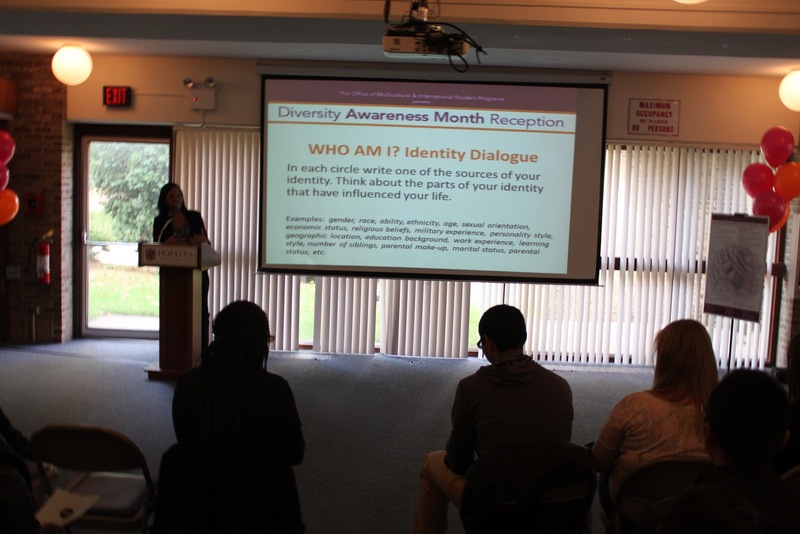 Diversity Awareness Month was indeed a success and we are thankful to the Hofstra community for supporting these programs. Check out our next program: Flavors of our Neighborhood, on Friday, December 7, where we will explore the cuisine of Haiti. Space is limited: sign up in advance at the Multicultural and International Student Programs Office: 242 Student Center. toy is all it takes to make this holiday season bright! Until December 7, Hofstra is hosting a Toy Drive to support the Interfaith Nutrition Network (INN), which provides aid to needy families on Long Island. We're reaching out to all members of our Hofstra Community to support this year's toy drive. We realize that lately things have been difficult and challenging for so many, particularly now following the hurricane. We're asking that everyone, especially STUDENTS, consider giving Just 1 new, unwrapped toy to make a difference in one child's life. Remember that feeling opening up a new barbie, lego set, super soaker, Talk Boy, or creepy crawlers (I loved those as a kid) felt? Well, pick up a few Koosh balls, Beanie Babies, or Silly Putties to make one little kid's holiday dream come true. There are a lot of good and affordable options in the bookstore too. There are no restrictions on the toy selection, except that it must be new. Something as simple as a coloring book can be a meaningful gift to a child who perhaps has never had one before. No gift is too small and each will go to a child in need this holiday season. For those who would like to donate, you may drop off your toy off at either the Fitness Center or the Student Center (near the bookstore). There are also bins located in 200 Phillips Hall and in the Mack Information Center on the south side of campus. It only takes Just 1 gift to make a difference in the life of a child...TOGETHER let's make it happen! 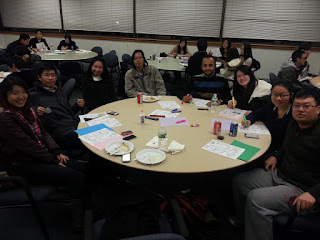 For any questions, please contact Mary Coleman at 516-463-4698 or mary.coleman@hofstra.edu. The Multicultural and International Student Programs Office (MISPO) recently hosted a What are you thankful for? 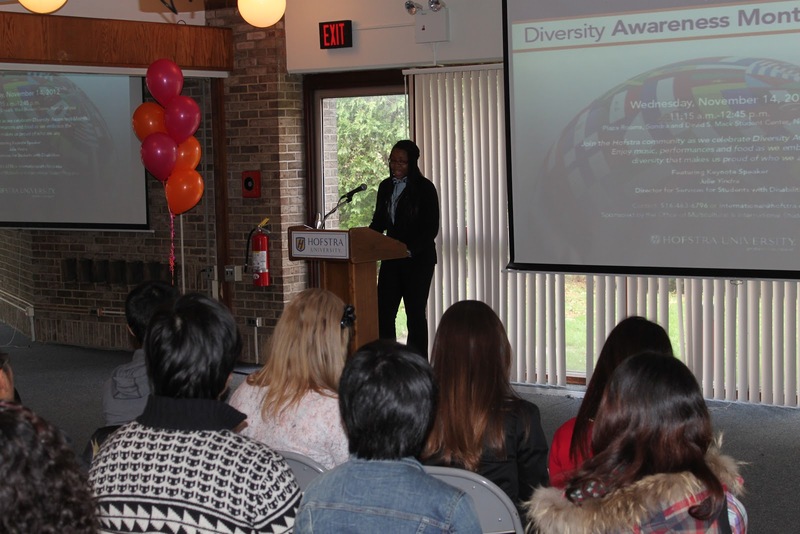 Living in America Series presentation and Thanksgiving Dinner & Celebration for the International Students at Hofstra University. The Thanksgiving Dinner & Celebration was brought back due to popular demand with an amazing attendance of 75 International Students!!! The Living in America Series presentation by the Assistant Director of MISPO, Sonia Fernandes, consisted of a history lesson and an explanation of the purpose of the Thanksgiving celebration in the United States. 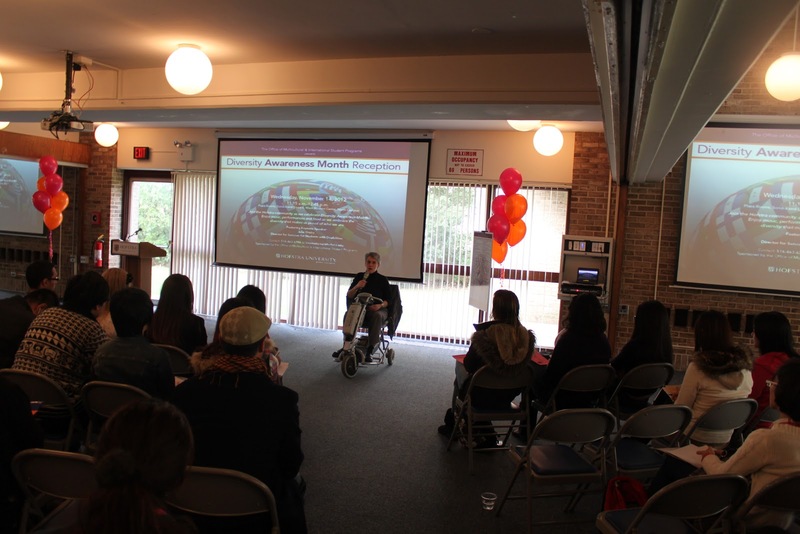 The presentation also included an explanation of the popular shopping craze of Black Friday and Cyber Monday! I am thankful that Hofstra University accepted me to come study here! I am thankful that I have a nice roommate and we are very good friends! 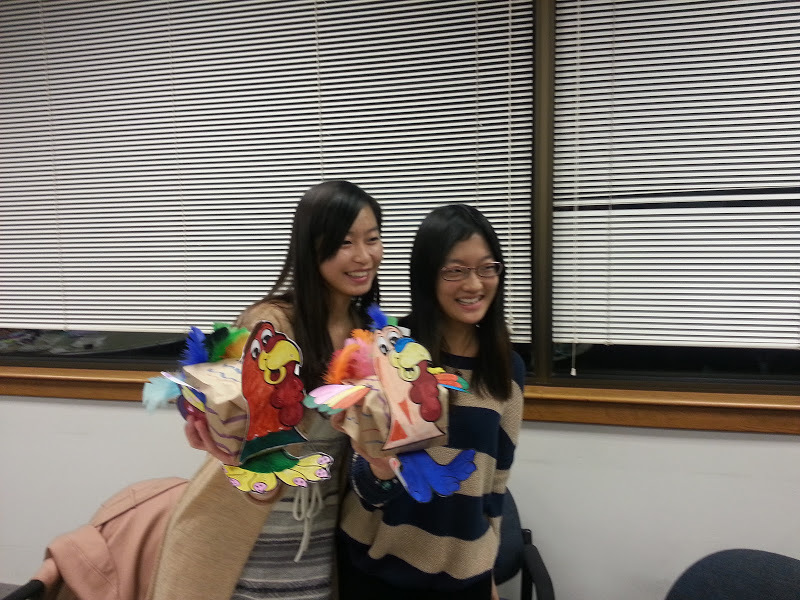 Christina and Lauren planned a fun art project for the International Students. They demonstrated to the students how to make their own Thanksgiving turkey made out of colored paper, feathers and a paper bag! 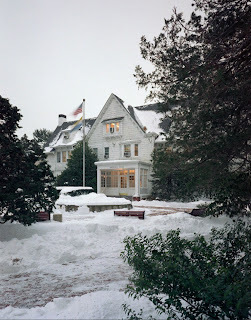 Its been a long time since we last blogged and the Off Campus Living and Commuting Student Services Office has been bustling. With one program left to go, we have continued to keep our Hofstra Commuters involved, educated, and having some fun in between. Thank you to everyone who came out to participate in all of our events as well as the impromptu Sandy relief effort. Our annual Halloween decorating contest was a huge success. 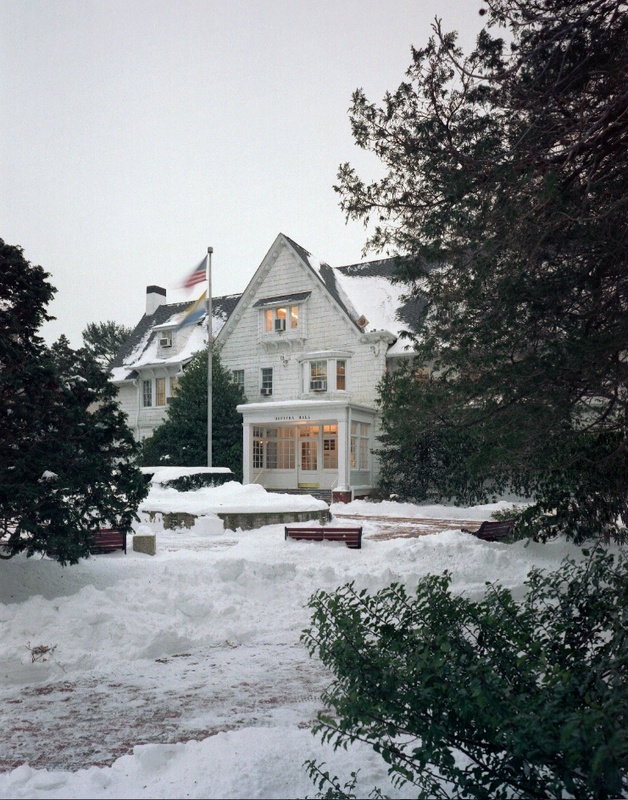 Below is a picture of our Honorable Mention winning house. The houses went above and beyond with spooky decorations and even some festive cupcakes for our judges. 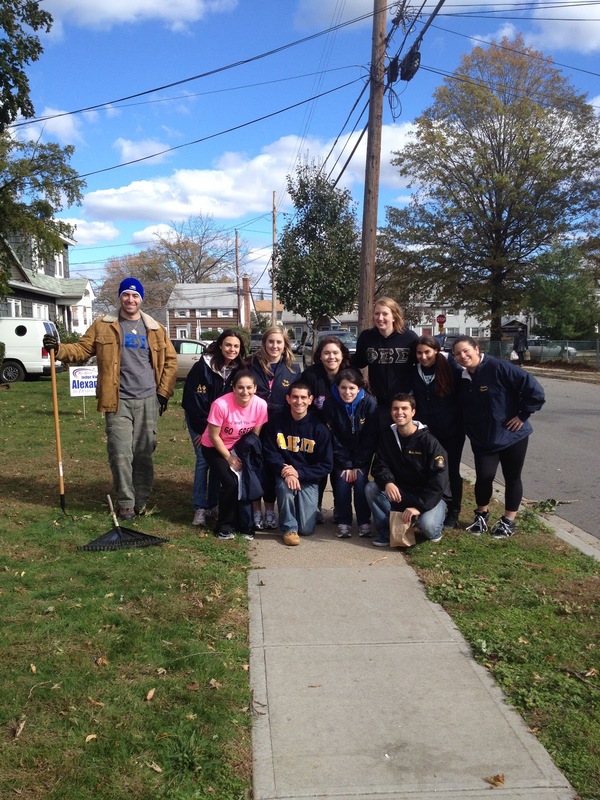 An impromptu event took place Saturday, November 2nd for neighborhood clean-up after Hurricane Sandy. Over 200 students came together to help the relief effort that directly affected their surrounding area. Along with our Halloween Decorating Contest, athletes and Greek life donated their time to rake the leaves of their neighbors and community members through our annual Shake A Rake program. Don't forget to come by the Mack Student Center Room 221 on December 13th from 8am-10am for an Early Morning Breakfast. Good luck in the final stretch. 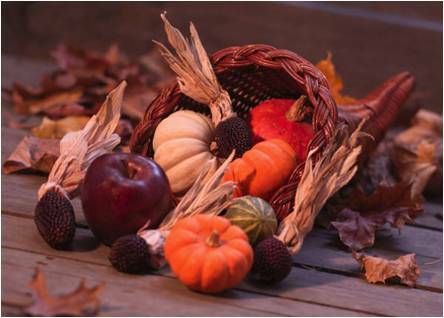 We here at Student Affairs want to wish everyone in the Hofstra community a happy, healthy Thanksgiving. If you're traveling to be with friends and family during the holiday, please stay safe and enjoy your well-earned feast. For those of you staying on campus, however, we have some ideas and information to keep you occupied during your break from classes. Public Safety will run a free bus shuttle from Hofstra campus to JFK airport on the Wednesday before Thanksgiving, November 21, 2012. There will be three trips to JFK, at 7:00 a.m., 12:00 p.m., and 3:00 p.m., leaving from the Mack Student Center. To reserve a seat, students should email MaryAnn.Sarro@hofstra.edu with their Hofstra ID#, their cell phone number, the desired shuttle time, and the airline name. The reservations are first-come, first-served; there is limited seating. The shuttle will stop at the terminals in the order they are along the route, not according to their flight time. Classes are supposed to run as scheduled on Wednesday. Please talk with your professors about your travel plans. The regularly scheduled campus shuttle schedule can be found by clicking here, and the LIRR schedule can be found by clicking here. Residential ProgramsResident Assistants will be on Duty 6 p.m.-9 p.m. The resident director on duty can be contacted through Public Safety at other times. Health and Wellness CenterClosed from 11/22 -11/25. Public Safety can be reached for emergencies at 516-463-6789. Student CounselingClosed from 11/22 - 11/25. A 24 hour crisis counselor is on call and can be reached at (516) 463-6789. Library •Wednesday, November 21 - 8:00 a.m. - 5:00 p.m.
•Friday, November 23 - 12:00 p.m. - 8:00 p.m.
•Saturday, November 24 - 9:00 a.m. - 9:00 p.m.
•Sunday, November 25 - 10:00 a.m. - 11:00 p.m. Fitness CenterWednesday, 11/21 6:00 a.m.-8:00 p.m., no evening group exercise classes. Closed Thursday, 11/22. Friday, 11/23 11:00 a.m.-6:00 p.m.. Regular hours resume Saturday, 11/24. Thursday, November 22, 2012. Thanksgiving Dinner with VP Johnson. 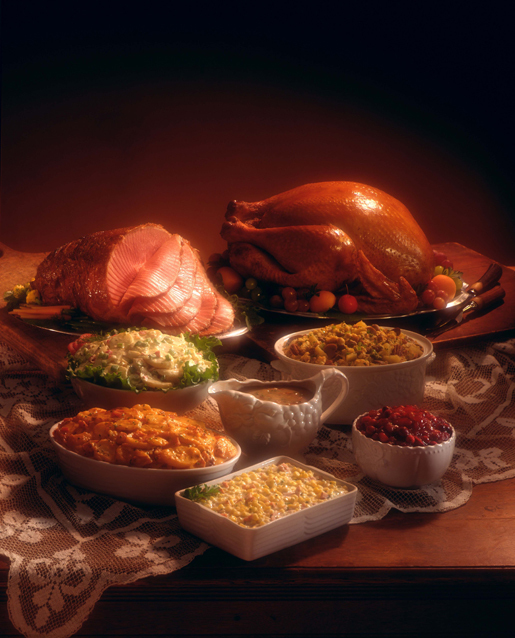 Those students who RSVP'd in time will be enjoying Thanksgiving dinner with VP Sandy Johnson. Looking to get out and about to really take advantage of the long weekend? Watch the 85th annual Macy's Thanksgiving Day Parade at 9:00 a.m. The parade will begin at 77th Street and Central Park West, moving down Central Park West to Columbus Circle. The parade will then turn onto Central Park South and head south on 6th Avenue until hitting 34th Street and turning west. The parade will conclude in front of Macy's Herald Square. Check out a Holiday Light Tour of NYC either here, or here. Ice Skate. Ice skating in Rockefeller Center is a popular option if you want to ice skate in New York City, but did you know you have other options? In addition to skating at Rockefeller Center, you could try Central Park, Riverbank State Park, or one of these other choices. Shop at Union Square Greenmarket. North and west sides of Union Square Park. Open Monday, Wednesday, Friday, and Saturday. 8:00 a.m. - 6:00 p.m.
Catch a Broadway show. For a list of Broadway shows this week visit here. Visit the Statue of Liberty or Ellis Island. Click here for more information. Walk the Highline. Built in the 1930's as a form of public transportation, this old freight rail line is now a public park owned by the City of New York. Shop to Eat! Eataly, located 200 5th avenue, is an energetic Italian marketplace. It is known by locals as the heartbeat of Italy in New York. Shop Til You Drop! Black Friday is the day following Thanksgiving Day in the United States, traditionally the beginning of the Christmas shopping season. On this day, many retailers open very early, often at 4:00 a.m. or earlier, and offer promotional sales to kick off the shopping season. The day's name originated in Philadelphia, where it originally was used to describe the heavy and disruptive pedestrian and vehicle traffic which would occur on the day after Thanksgiving. Later an alternative explanation began to be offered: that "Black Friday" indicates the point at which retailers begin to turn a profit, or are "in the black." American Museum of Natural History. Central Park West (at 79th St) Come check out a new exhibit, Creatures of Light which showcases all that glows. Welcome to the world of bioluminescence—the generation of light by living things. Visit the Brooklyn Museum. Located at 200 Eastern Pkwy (at Washington Ave). Currently featuring the Mummy Chamber in which over 170 objects from the Brooklyn Museum’s world-famous holdings of ancient Egyptian material are now on view. 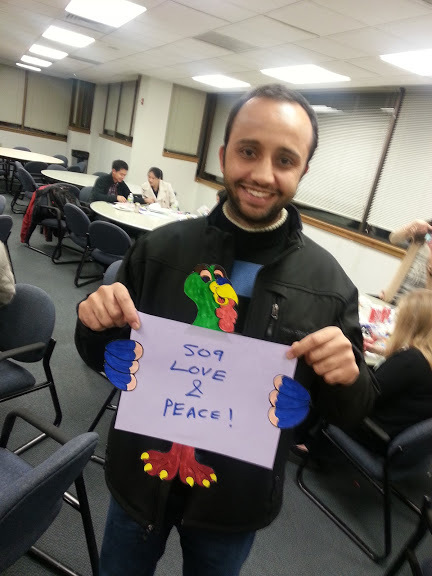 Help package 10,000 Thanksgiving meals for the victims of Hurricane Sandy on Long Island. Click here for more information about how you can help.